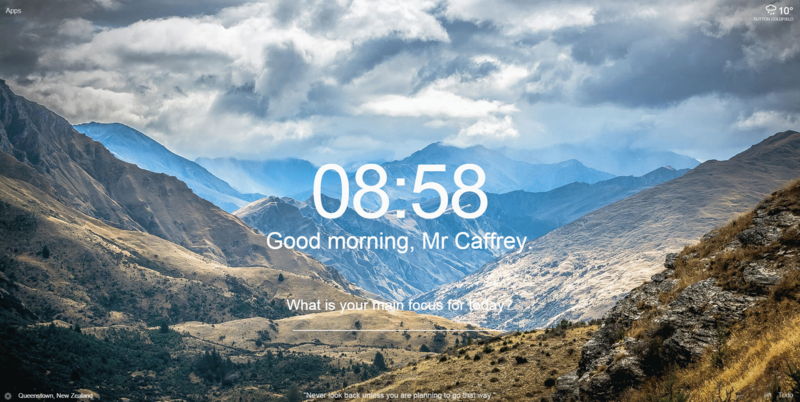 This is a nice add on to Google Chrome – which shows an image (usually something Geographical), the time and says good morning to me. There is also the option to store a To Do List and set some targets for the day. It’s is available in the Chrome Web Store.